'Christiane Elizabeth' (Clarence Mahan, R. 1997). Seedling# IDS-15R. TB, 36" (91 cm). Early bloom and rebloom. 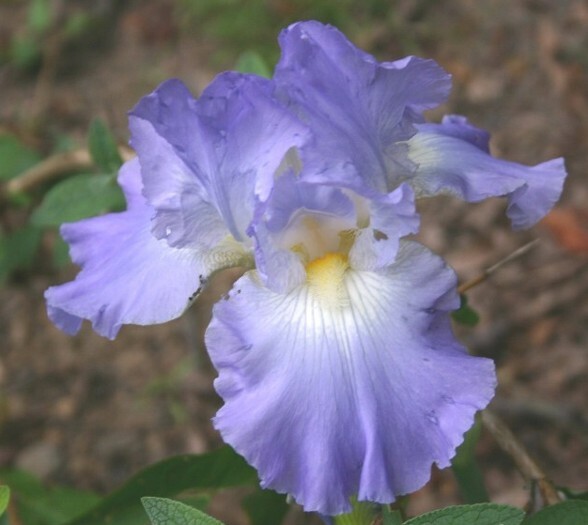 Light to medium blue violet; falls with white blaze; beards white, hairs tipped yellow; pronounced spicy fragrance. 'I Do' X 'Suky'. Friendship 2001.